Groenekan, The Netherlands, September 6th, 2018 – Multi Pilot Simulations (MPS) has been contracted by Skyborne, a new airline pilot training academy based in the UK, to deliver the world’s first fixed-base B737 MAX simulator for its new, state-of-the-art training center at Gloucestershire Airport. This B737 MAX simulator has already been certified by the Dutch CAA at its production facilities in the Netherlands. MPS CEO Capt. Philip Adrian: “We are committed to deliver our customers with the best possible Fixed Base Simulators. We therefore continuously incorporate the latest functionality and develop the latest models such as the B737 MAX. This device is the first of its kind qualified by aviation authorities and will allow customers like Skyborne to optimise training for the next generation of pilots”. MPS designs, produces, installs and maintains fixed-base A320 and B737 simulators to meet the needs of airlines and flight training organizations for high fidelity, high quality devices that are type specific. The Company’s main production facility is located near Utrecht, The Netherlands, and its electronic systems are assembled in its subsidiary, MPS Electronics GmbH, in Germany. MPS delivers its products and services to Training Organizations and major airlines world-wide. MPS was founded in 2007 and has a global installed base of EASA and FAA certified simulators. 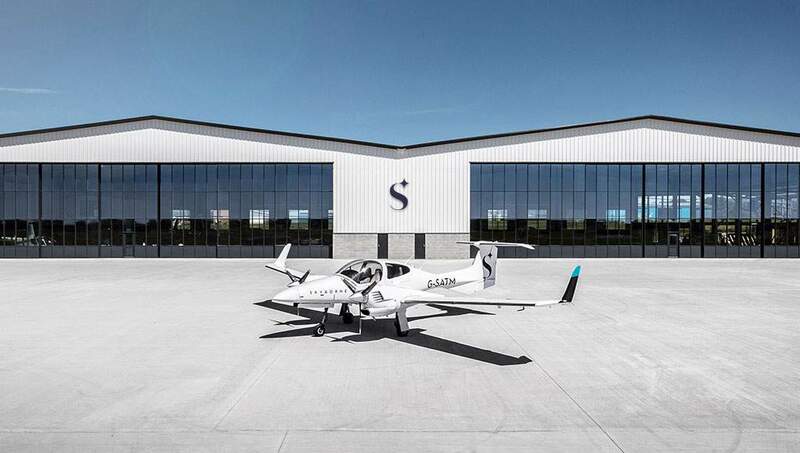 Skyborne Airline Academy is a modern airline training academy based at Gloucestershire Airport in the United Kingdom, newly established by industry experts, bringing a fresh approach to airline pilot training. The Academy offers full-time frozen Airline Transport Pilot License (fATPL) training. All training is conducted from its state-of-the-art facility at Gloucestershire Airport, complete with the UK’s first Boeing 737 Max FTD1 flight simulator. Trainees will also spend training periods at California Aeronautical University (CAU) and Florida Institute of Technology (FIT). Founders Tom Misner (chairman), Lee Woodward (CEO) and Ian Cooper (COO) have unsurpassed experience in commercial aviation, education and training. It is their vision to create a training environment where the highest standard of teaching, safety and relevant airline-style training is maintained and interactive instruction encouraged.